You’ve probably heard of grubs and know that they aren’t good for your lawn, but like most people know little to nothing about them. Perhaps you’ve noticed dead or struggling patches of your lawn and had someone remark that it might be grubs. 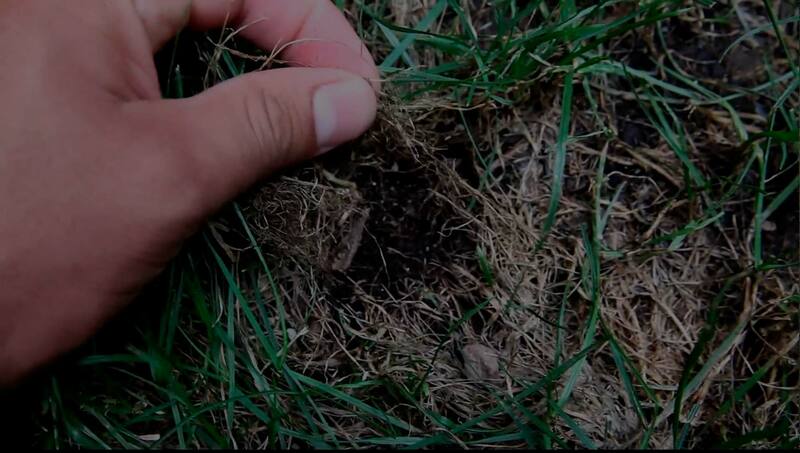 Grub damage can cause your grass to seriously struggle, but LawnLab can help you bounce back and prevent future issues. If you see a grub, they look somewhat like a worm, only they’re white and shorter. When disturbed, they curl up into a “C” shape. Usually, they stay below the soil’s surface, so you only spot these creatures when digging in your lawn. Grubs are actually the larval form of different beetles. They like to snack on grassroots, which makes them such a menace. Of course, these turn into adult beetles, which then procreate, leading to a new round of grubs in your lawn. As the beetle population increases, so does the grub problem. Of course, these signs alone don’t mean you have grubs. The only way to be sure is to check the soil under the grass and actually see the creatures. 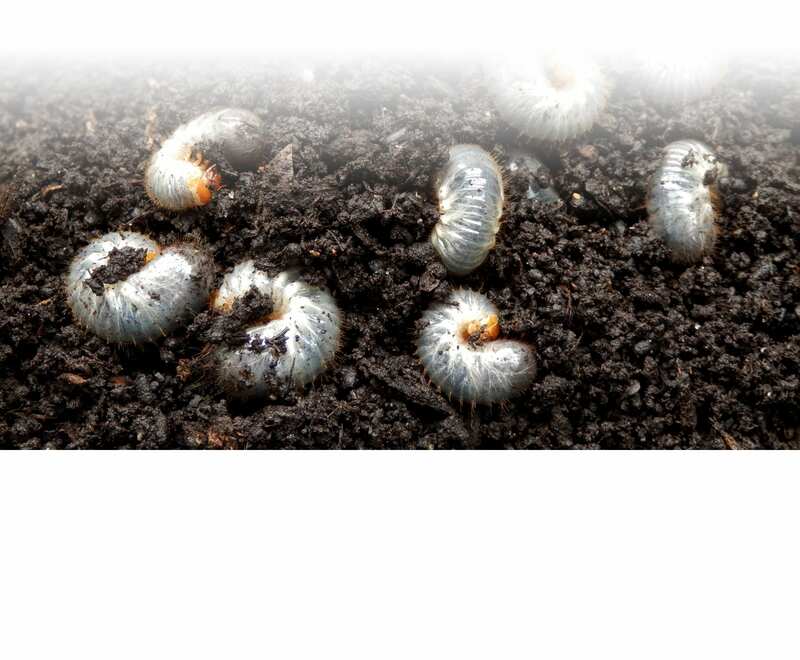 The more grubs in the soil, the bigger the issue. You might only have a slight grub problem, or you don’t have one but are concerned since your neighbors have been dealing with them. Instead of waiting until parts of your lawn start dying, take action now. Our expert team will formulate a plan to keep the grubs out of your lawn. We can apply a spread that will act as a barrier against beetles and grubs, so you don’t need to worry about your lawn becoming a nesting ground for these pests. Rest easy knowing you have knowledgeable experts taking care of your grub control for lawns. If your lawn is already showing the signs of being under attack by grubs, don’t fret. We have the tools and training to take your yard back, so you can enjoy lush, green, and full grass once more. Waiting for the grubs to go away won’t work. In the cold weather, they dig deeper into the soil to survive the temperatures and simply emerge once more in the spring. It’s best to kill the grubs before they hatch each spring, although you can manage the problem later. Contact LawnLab today and we’ll assess your grub problem, formulating a solution that will restore the beauty of your grass.